Whether you need the perfect after-school snack or you want a wholesome pick-me-up during the day, Mott's Medleys are a nutritious snack for the entire family. 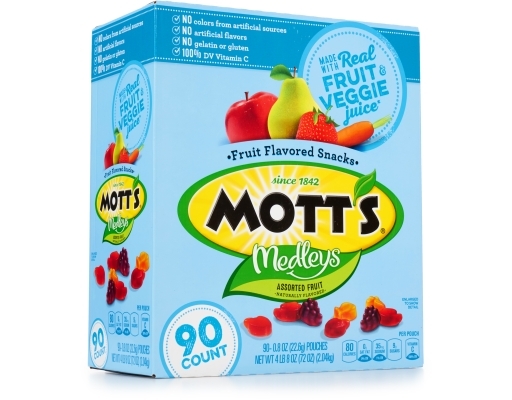 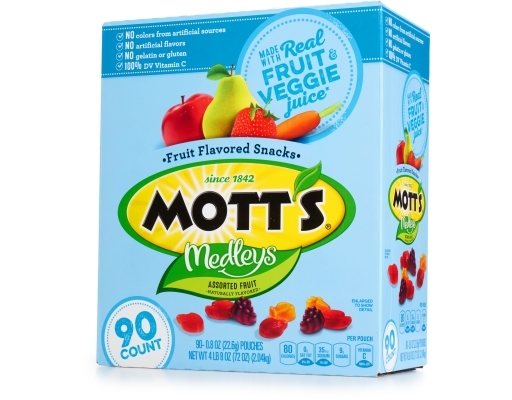 Made with real fruit and vegetable juice, Mott's Medleys Assorted Fruit Flavored Snacks are a delicious combination of pear, apple and carrot juice concentrate. 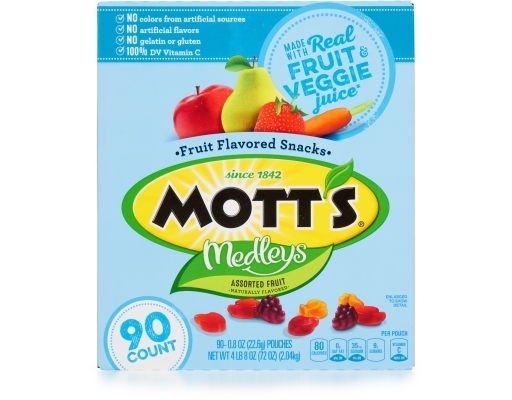 This delicious snack is a nutritious supplement to your daily nutrients. 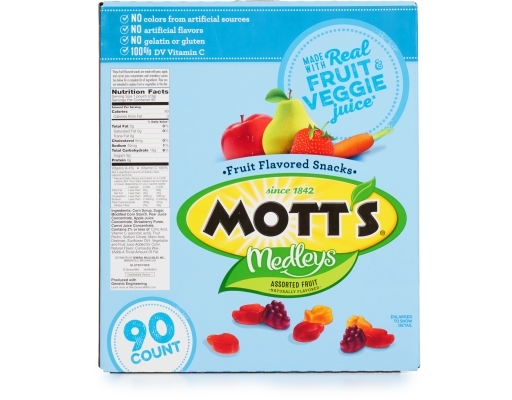 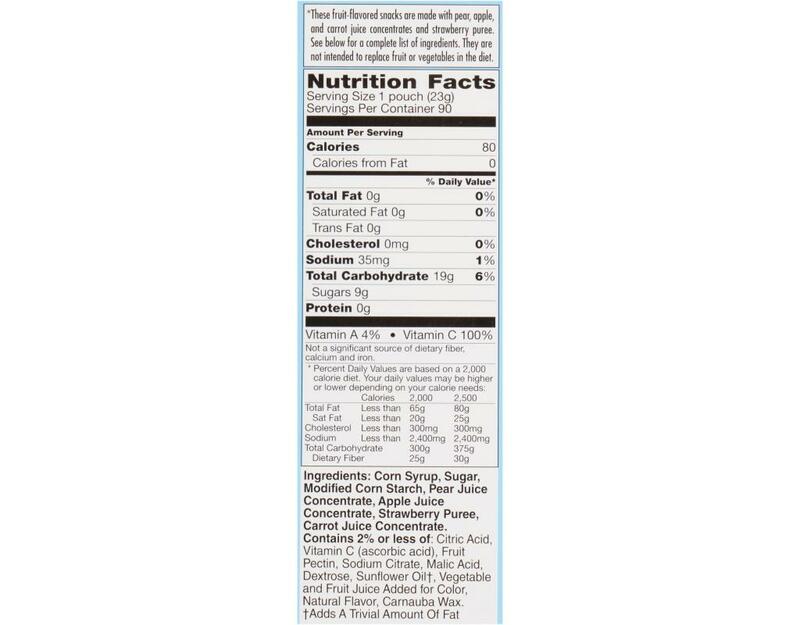 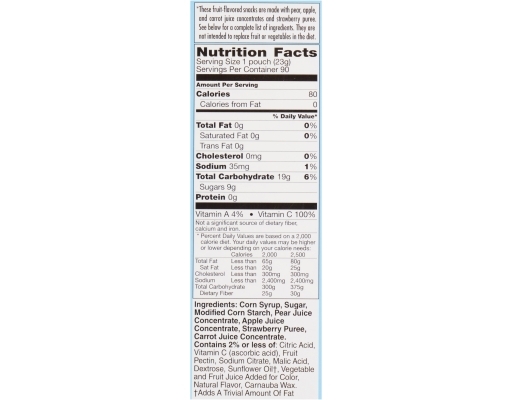 With only 80 calories per package, these 0.8 oz. 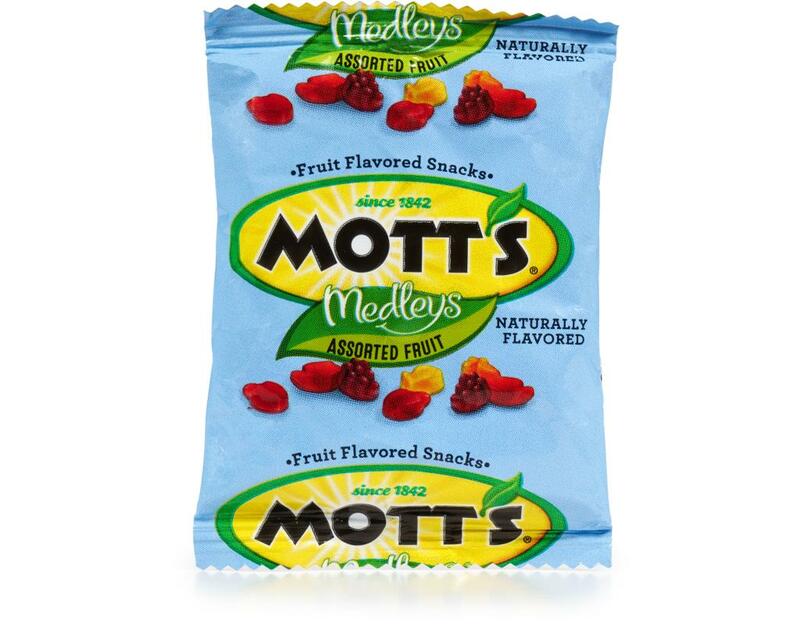 Mott's Medleys Fruit Snacks can be enjoyed as an after school snack, in between meals or late at night. 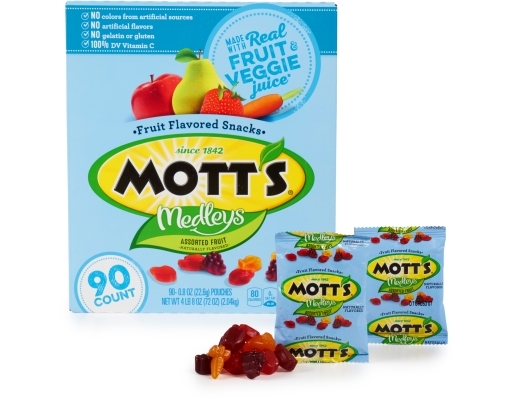 Introduce a delicious burst of energy in your day with these tasty fruit snacks.